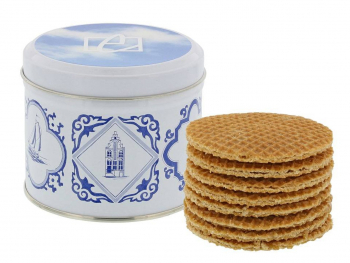 Are you looking for a unique and delicious gift for your wedding or an event? 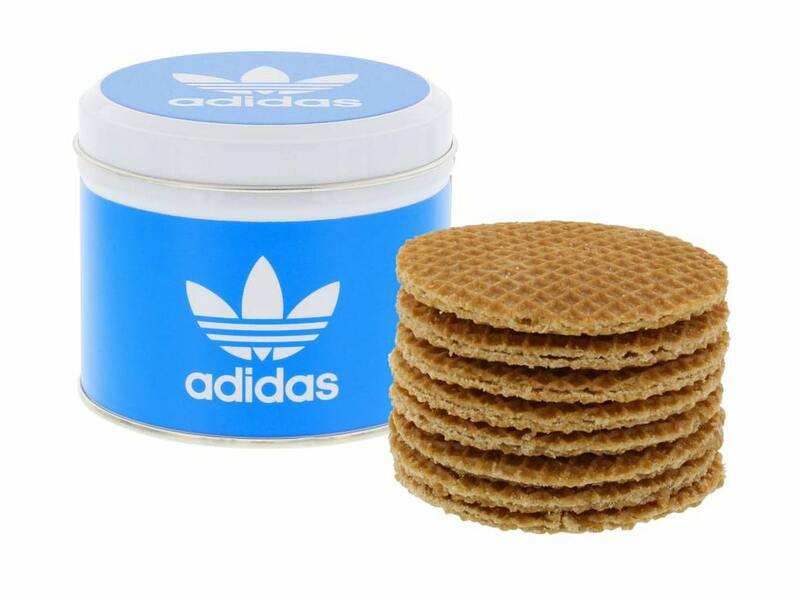 Then our customized stroopwafel tins are a great idea! 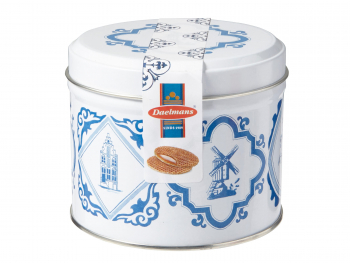 We fill each tin with 8 of our Daelmans caramel stroopwafels. 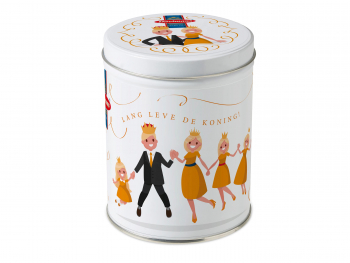 You can customize a tin with a full color label: the minimum order quantity is only 48 tins. The turnaround time is approx. 3-4 weeks. Enter the number of tins you would like to order and finish the order. 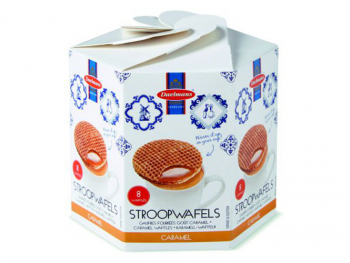 Download the templates below these steps for the label and lid print. 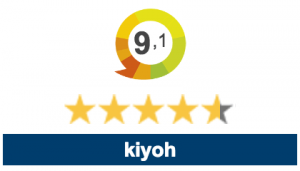 Please note: if you are uploading a complete label design, please make sure the measurements are 310 x 57 mm. The diameter of the lid design is 87 mm. Also, please make sure the design is a vector saved in .pdf, .ai, or. eps. The label will be attached to the welding. If you order more than 500 tins, we can also directly print the tins all-over instead of a printed label. Please contact us for a quote through [email protected].